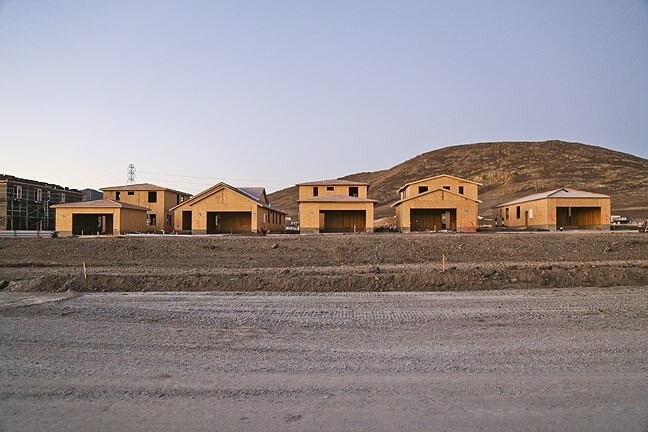 View a slideshow of housing developments currently in progress in SLO County. This year is the sixth that hundreds of movers and shakers in San Luis Obispo County gathered to hear the Central Coast Economic Forecast. The event, which is put on by an organization that formed to fund and present an in-depth look at the area’s economy, started in 2010, a darker day when it came to financial matters. Since then, the picture has gotten brighter. The bulk of the Nov. 6 presentation came from a team of economists at Beacon Economics, a Los Angeles-based firm that puts together the annual economic forecast. Jordan Levine, senior economist and director of economic research, kicked off the presentation by methodically reviewing the riveting layers of the county’s economy. 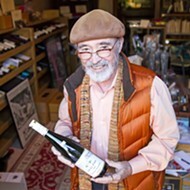 Levine painted a rosy picture, pointing to several indicators that the local economy is robust and heading in the right direction. The professional job sector is growing; tourism is booming; and unemployment in the county is lower than the state and national averages. IN DEMAND: The completed phases at the Serra Meadows project in San Luis Obispo’s Margarita area have been bought up as quickly as they’ve been built. Additional phases are in the works. In the heart of his presentation, Levine addressed an issue that is crucial to the area’s economic and social well-being—housing. In a nutshell, there isn’t enough of it. More specifically, it’s getting more and more expensive; it isn’t where it’s needed; and the housing supply is sluggish. Simply put, population growth is outpacing housing growth in SLO County. In addition, housing prices are increasing more quickly than income. In the last year, California has been the fifth fastest growing state in the nation and is the country’s biggest source of new jobs, creating almost half a million new jobs in the 12 months leading up to June 2015, growing 50 percent faster than the national average. Sales of existing single-family homes have increased almost 10 percent in the last year. That demand exists in SLO County as well, where the number of new households exceeds new houses in residential hotspots like San Luis Obispo and Paso Robles. Home prices are going up as well. They increased 8 percent between the second quarter of 2014 and the second quarter of 2015, according to Beacon Economics. Levine said that SLO County has recently crossed the affordability threshold and is no longer an “affordable” place to live. Median housing prices countywide were $454,832 in 2014, up from $440,641 in 2013; year-over-year there was a 3.2 percent increase. In San Luis Obispo—the most expensive city to live in SLO County—median prices were $623,727 in 2014, up from $606,313 in 2013. In Paso Robles, home prices are increasing at a faster rate, with a 10 percent increase in the year-over-year median price. Median housing price increased from $357,696 in 2013 to $393,580 in 2014. In addition, SLO County has one of the fastest growing rental markets in the state. For that reason, rentals are enjoying very low vacancy rates, and prospective renters are enduring a highly competitive rental environment. That more housing needs to be built to house the area’s growing population is not up for argument. But where to build, how dense, and who pays for what become heavy questions in a land where development is a voluminous issue book-ended by a strong sense of private property rights on one side and passionate environmental ethics on the other. But Beacon’s report shows that the amounts of permits being pulled for new developments has quickly increased, and several new projects are now somewhere between the early planning stages and the assessment and approval process. While the Great Recession played a large part in the current situation—housing development nationally slowed if not completely stopped for five to seven years—there are several other challenges constantly at work. That is especially the case in California, and SLO County, said Gary Grossman, president of Coastal Community Builders. “If we were in a different type of state or country we would say, ‘Hey we need more housing here, let’s do it.’ But here we have a lot of processes in between,” Grossman said. The existing demand is easy to see whenever new housing goes on the market. Charlie Richardson, senior partner and founding member of Richardson Properties, is a broker for several new developments in the area, including Serra Meadows in San Luis Obispo’s Margarita area. The area is among the top sites where the city is planning for significant growth to occur. Richardson said the houses are being bought as quickly as they’re being built. For tract developments like Serra Meadows, he said, it’s a good sign to see four or five homes sell a month. Those homes, Richardson said, aren’t exactly cheap, selling between $500,000 to $850,000. But, nevertheless, they’re getting snatched up, which Richardson said is a testament to the demand. While builders are happy that homes of all sizes and prices are selling, the process to build those homes can be lengthy, expensive, and a bit tedious. In addition to the commonly seen struggle over a project’s environmental and community impacts, many developers say that the nitty gritty of the planning process and the “fair share” costs—projects must contribute to infrastructure improvements—can be burdensome. “The net result often equates to a longer period to be able to get supply here,” Grossman said. He has several projects working at any given time throughout SLO County. Many of those are tidy infill projects, with housing for a variety of income levels. Some are larger. 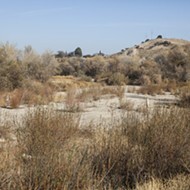 Grossman is currently undergoing the approval process for San Luis Ranch, a unique housing development proposed for the land once owned by Ernie Dalidio. The ability to build the project will come with costly fees to fund necessary infrastructure to support the increase in housing—namely traffic improvements. San Luis Ranch is at the front of a pack of projects in SLO’s planning pipeline that were being developed in several areas earmarked for growth two decades ago. However, several factors have stunted growth in those areas since the city identified them. 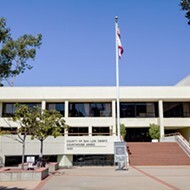 San Luis Obispo Community Development Director Michael Codron said that the development of those areas lagged in part because of infrastructural roadblocks. Many of those areas will require new roads and improvements to freeway interchanges, neither of which come cheap. Now, with the planning already in place, Codron said the city is taking a more proactive approach toward laying down the necessary infrastructure to enable development plans to be realized. “I think that the planning that we have done has positioned us really well to be able to provide housing in the city of SLO for a variety of income types and close to job centers,” Codron said. San Luis Obispo city officials are well aware that the housing market in their city is very tight. 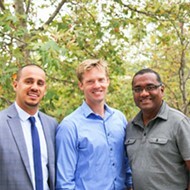 In the 2014-2019 housing element of the city’s general plan, there is a particular emphasis on building affordable and workforce housing. IN THE MIX: The first phase of the Villages at Pacific West in Pismo Beach are now for sale, offering a mix of affordable, entry-level, and moderately priced housing. In addition to the high cost of housing to purchase, the city has a very competitive rental market fueled by students and people who prefer to rent. The average size of families is shrinking—everywhere—so more housing is needed per capita to accommodate population growth. The city’s population growth is below the county and state average of 1 percent. Because of the housing crunch, many people who work in SLO have settled or moved elsewhere. “Many households have also been migrating north within the county, leaving cities near San Luis Obispo for Paso Robles,” the Beacon economic forecast report said. That trend, joined by Paso Robles’ booming wine- and tourism-based growth, has put a strain on the housing supply there as well. According to the Beacon report, between 2007 and 2013, Paso Robles has seen 453 new households, with only 95 more net housing units. Atascadero saw a much more drastic disparity, with 797 new households and 276 new net housing units. In both places, there’s been a decline in single-family homes and an increase in multi-family homes, which is good for renters, but makes buying a home more competitive. Similar to SLO, Paso also had issues with housing plans that were cast aside for a multitude of reasons. And also like SLO, several of those projects are finally now in the pipeline. 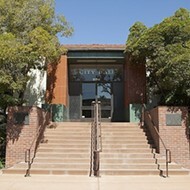 Paso Robles Community Development Director Warren Frace said that many of the projects that were once stalled or abandoned are “coming back to life,” but there will be a lag time while that happens. Frace said in the bigger picture, Paso’s general plan includes a projection for an estimated 4,000 new houses. That’s a struggle though, because the state eliminated redevelopment agencies and the funds they provided, which assisted much of the affordable, government-subsidized housing built in Paso. Now that housing prices in the county have officially left the bracket of affordability, as Beacon’s Levine said at the Central Coast Economic Forecast, the quest to create affordable housing is even more of a concern for city officials and affordable housing advocates alike. Little by little (very little by little), affordable housing is getting built. 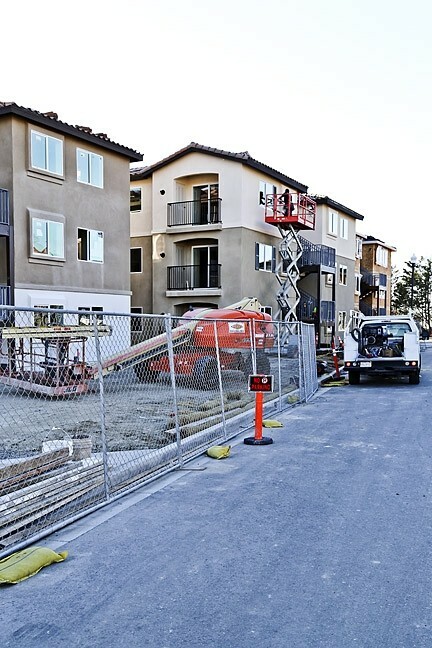 The Housing Authority of San Luis Obispo (HASLO) is finishing up the Moylan Terrace project in San Luis Obispo, where affordable, subsidized housing is being sold to various income brackets. So far it’s been “wildly successful,” says HASLO Executive Director Scott Smith. The Oak Park Public Housing redevelopment in Paso Robles is moving along, and, as Frace puts it, will provide desperately needed housing, especially to seniors, while also changing the character of the neighborhood for the better. Affordable units are being fit into several ongoing projects, like Coastal Community Builders’ recently completed Pismo Beach project, The Villages at Pacific West. That project, which includes 37 single-family homes and 36 condos, just had a ribbon cutting and will start selling soon. It also includes 10 affordable housing units that were built as a collaboration between the company and HASLO. Still, an uphill battle is ahead. “I think we are at a crisis point,” said Julia Ogden, chief executive officer of Habitat for Humanity for San Luis Obispo County. The organization works on several fronts to secure and retain affordable housing around the county. Those efforts include a couple of new housing projects—one planned for Paso Robles. That project, a nine-unit subsidized housing development—faces some tough challenges that are a good example of why affordable housing is so difficult to build, Ogden said. The project has been stalled because of the city’s high building fees—Paso has the highest fees of any city in the county—and decreases in government and grant funds to support Habitat for Humanity projects. 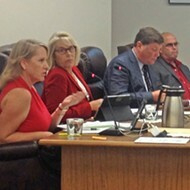 Ogden noted that the city responded to several concerns, showing its desire to seriously consider options toward remedying Paso’s housing challenges. The preservation of existing housing addressed in the city’s general plan is also an important issue for Ogden and Habitat for Humanity. But, more housing is needed, especially new housing that is affordable. “We’re going to need so many apartments, rental units, new homes that people can buy, very, very quickly,” Ogden said.